For small businesses, the struggle can seem like the end, but even if there are a few stumbling blocks along the way, it doesn’t always mean that things have to come to an end. Depending on your circumstances and how badly the business is suffering, there are numerous rescue operations to put a business back on track. Here Edward Wade from Wilson Field highlights how you can save your business from financial trouble. When it comes to getting cash flow right, there are lots that small businesses can do to prevent cashflow issues. Most of it comes down to planning and more importantly planning well. A cashflow forecast needs to take into account all of the incoming and outgoing transactions of the business, but crucially it needs to try and interpret future projections, this enables a business to stay ahead. Yearly or quarterly bills are often the main problems that small business encounter along with seasonal differences. A company must get prepared for these outgoing costs. Late paying clients are a common issue for businesses, even if a cashflow forecast is perfect, if clients don’t pay on time it can massively hold up a business. Gradually, finances will get further and further behind, month after month until the business can no longer keep up to date with their own payments and can potentially put the company into negative cash flow. For those that need a quick cash injection invoice finance could be a great solution. This effectively enables a business to take out a loan based on the value of its unpaid invoices. So, for those struggling with late paying clients, it gives them an opportunity to obtain an advance on their outstanding invoice. If the struggles of cash flow are down to clients who pay late, this could be the best way of moving forward. If it’s old assets, or inefficient assets costing the business too much, commercial finance can offer a good route to replacing outdated equipment. Commercial finance covers a few different options such as asset finance and refinancing, but they both allow a business to replace damaged broken assets, or to upgrade on what is already there. If your business is incredibly unlucky and gets hit by a large debt through a piece of machinery breaking, then asset finance will more than likely be the best option. This enables businesses to purchase assets over a set period of time, instead of paying in one large lump sum, which could potentially disrupt cash flow. On the other hand, if your business is asset rich, but cash low re-finance would be the best way to move forward. This allows businesses to borrow money which is based on the value of its assets, this can help raise money and aid cash flow. Small businesses can often encounter intense creditor pressure as they try to find their feet in the marketplace. If not handled properly it can, unfortunately, lead to a company going insolvent. Thankfully there are formal payment plans available in situations such as this to set a company straight and point them in the right direction. A company voluntary arrangement would allow a business to condense creditor debts into affordable payments, giving a business the opportunity to balance its liabilities. 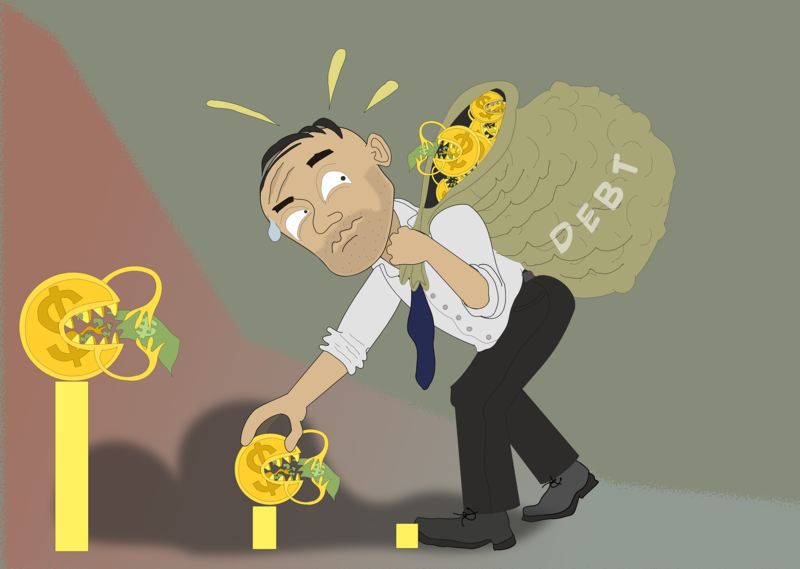 A CVA will normally last a maximum of five years with any remaining debts being written off at the end. This option is only available to businesses which have a genuinely viable future if the business model doesn’t work it’s unlikely a procedure like this would be accepted. The last resort option for small businesses in trouble comes via a pre-pack liquidation and then a phoenix. Although technically this process means the end of a business, through a phoenix, a new company will be born through the ashes. A Phoenix company is part of a pre-pack liquidation and allows directors to pick up the pieces from the formerly liquidated company and carry on under a new trading name. It’s perfectly legal to set up a phoenix company, however, there are strict rules regarding the purchase of assets, goodwill and the new name surrounding the company. Almost all businesses will undoubtedly struggle at some point. Even if you go through a rigorous planning procedure, problems will occur. The sooner a business can see them coming the better, however, if an owner finds themselves in a sticky situation, there are financial solutions to be found which can help get businesses out of trouble. More on small business funding and business finances.